When I talk Social Media with people, clients and potential clients the focus is really placed on Facebook. I absolutely love the power of Facebook, because of the huge number of people that are engaged in sharing amazing content on a daily basis. I am lucky to have an amazing group of people sharing amazing information on a regular basis. Facebook is HUGE, but we can’t get lost in its power and do ourselves a disservice to our entire social media presence. Think about some of the things that are shared on Facebook. We see news stories, video and pictures. Yes, lots and lots of pictures because people LOVE pictures. This is primarily because as humans we are visual and we love things that provide visual stimulation. 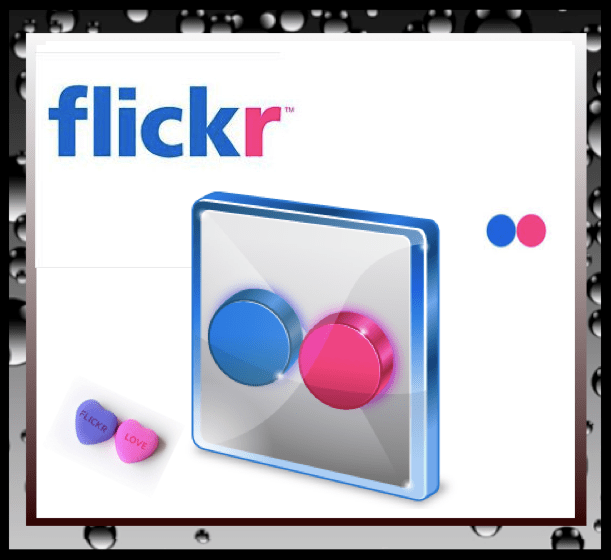 So why not indulge the senses of many by providing a place for your images and add little boost to your social media presence in the process by using Flickr. I absolutely LOVE my Flickr Account and I use it on a regular basis for my social media needs. Photo Storage: It allows you to store a huge amount of photos for FREE and a larger amount for a minimal fee if you need a Pro Membership. Web Images: Once you store your images on Flickr they can be easily grabbed for blog posts and websites. Photo Sharing: After your images are stored on Flickr you can opt to share the photos with others ( or not ) to use for their blogs and websites. Social Media Optimization: If you use your Flickr images for your blog posts add the URL to that image in the description field. This allows those that view and or use your images to check out your blog posts as well. Also remember to tag your images properly for effective optimization. The importance of images are often overlooked when we think about Social Media but think about how many times we search for images then you will realize how important Flickr and photo sharing sites are. I would go so far as to say that they should always be utilized as an effective part of a Social Media Optimization Plan. So what are you waiting for stop reading and start Flickr-ing. Yes, I did just make that word up.